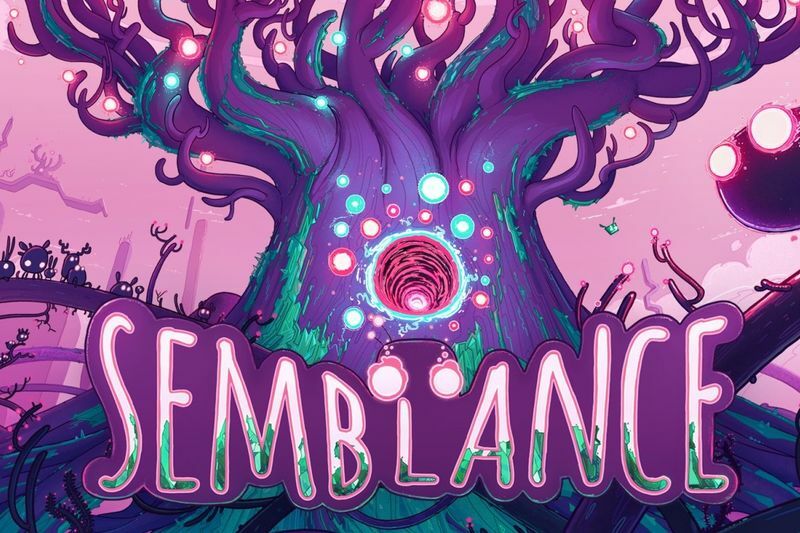 There is a video game that goes by the name of Semblance, which allows the gamer to control an unnamed little blob creature that is trying to fight off a strange infection that is deforming his world. The infection has afflicted its forest home and it is up to you to help the little blob collect orbs that are scattered throughout a number of different stages but require you to solve platforming puzzles in order to reach them. Aside from running and jumping, the only other way your blob can reach them is through deforming the terrain. You do this by dashing or crashing into a pliable surface, which causes the surface to dent, or you can undo the deformation of terrain that is near the blob. You will see, in the video below, that there is an orb that's too high for the blob to reach by jumping, and in order to get to it, you have to go against the walls and make dents in order to climb up. Once the player has done this multiple times, the dent becomes a way for the blob to continue its journey. And if you manage to dent the platform in such a way that prevents you from getting to where you need to be, you can simply reset it to its normal state. Semblance can feel more like a puzzle game than a typical platformer. They are more about figuring out how you can deform the area to reach the goals in the game than about how skilled you are at jumping. It’s perhaps in this way that Semblance gets its name because, while it appears to be a platforming game, it plays more like a puzzle game, one where you interact with the puzzles through platforming mechanics. This is in part due to how the levels are designed. Each one has a number of puzzles in it, and each puzzle is discretely separate from the others. What you do in one doesn’t affect any of the others. It uses a sort of hub and spoke structure you see in platform games like Super Mario Odyssey where there is a central area (the hub), but different objectives or levels (the spokes) that can be completed in any order. So when you get stuck on a puzzle in Semblance, you can just move ahead to the next one in the level, or in the next level, or the next set of levels. As the game progresses, the solutions to each puzzle feel less organic. It’s more like searching for the very specific solution for that particular puzzle. It makes the deformation mechanic feel less powerful, but even still, figuring out the solution to puzzles is still satisfying. It’s because Semblance’s platformer mechanics and structures are so familiar, so the deformation tool is almost like cheating; which is a comforting sensation in a game that is already comfortingly familiar. Semblance was created by Nyamakop, a South African company. You can get it on Nintendo Switch for $9.99 and it takes about three hours to finish.